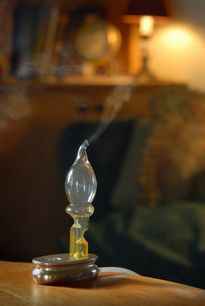 Essential oils are aromatic volatile liquids distilled from all kinds of plants. Their chemistry is very complex with hundreds of different chemical compounds. Essential oils are highly concentrated and far more potent than dried herbs. They are not the same as vegetable oils, such as olive oil. 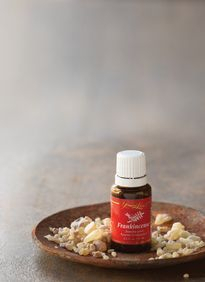 Unlike those oils, essential oils are not fatty or greasy, and they can not go rancid. 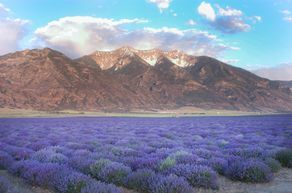 Essential Oils have been used for GENERATIONS, since the beginning of humanity, as MEDICINE. They are in the Bible and many other ancient writings! Even in recent history, dentists and doctors have used essential oils in their practices with great success. Unlike antibiotics, "super bugs" can never build a resistance to essential oils. This is because they are so complex, and each year, each harvest they are different in structure. Just like wine...each year produces a different compound...dependent on the current weather and soil conditions, among other factors. Essential oils will not HARM you...unlike modern MEDICINE. Essential oils do not come with WARNING LABELS and a long list of what could go WRONG and how they could KILL you just by taking them. No. That is the danger in taking MODERN MEDICINE. And that is the FREEDOM in using Essential Oils. Why Young Living and not any other "brands"? Young Living is the worlds leader in essential oils! They are the only company that owns their own farms. They control the whole product from "Seed to Seal". They are a very trustworthy company. There are other companies out there. Many are even CHEAPER. But you have to decide if you want QUALITY or just to save money and get a lesser product that will NOT be as healing (if at all!). You see, essential oils can be distilled or extracted in different ways that have DRAMATIC effects on their chemistry and medicinal action! 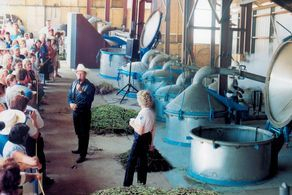 Some other companies use 2nd or 3rd distillation, which is not going to be as potent as the first distillation. Also, other companies may not be very careful in the temperature that they distill the plant material. They may distill it quickly under high heat...to save time and money...and lose quality and damage the molecular structure of the individual oil. Each plant needs to be treated differently to get the best quality. Young Living has been at this longer than any other company...Gary Young has dedicated his LIFE to this. Its not just for money or profit. It truly is for HEALTH..and to SHARE this health with the rest of the world. 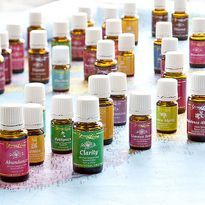 While other companies, who are in it to make a quick buck with good smelling oils, make and sell oils that are adulterated, engineered and/or extended with the use of synthetic chemicals, Young Living has a HIGHER standard. They ARE the standard. They use rigorous analytical testing with state of the art gas chromatography, mass spectroscopy and NMR (Nuclear Magnetic Resonance). Other essential oil companies can NOT say the same. 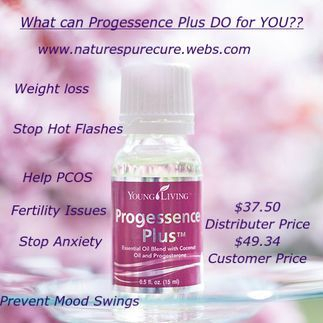 Progessence Plus...I am in LOVE!! Mark 6:13~ And they cast out many devils, and ANOINTED with OIL many that were SICK, and HEALED them.